OYO Fitness, creator of compact exercise equipment that use NASA SpiraFlex technology instead of weights, enabling fitness at home, office or on the go, has launched their OYO Personal Gym PRO and OYO Coaching App (IOS), which wirelessly communicate fitness programs with real time coaching, tracking and feedback. Now for the first time, personal fitness equipment with integrated connected workouts is available wherever you are. The first 2,800 OYO Gym PRO orders have been shipped. 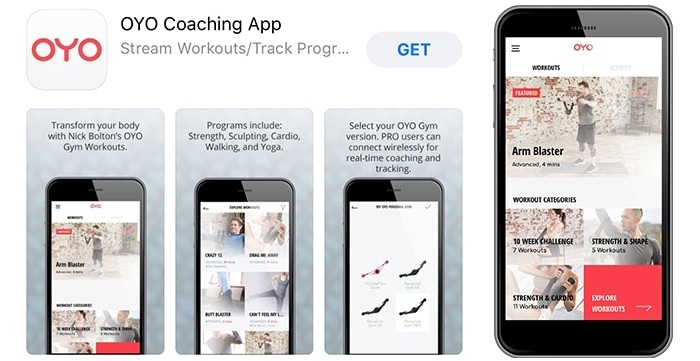 Developed with FS Studios, the OYO Coaching app can be used with all OYO Gym products, featuring programs developed by Fitness Director Nick Bolton that include strength, sculpting, cardio, yoga and Pilates. �I used SpiraFlex technology in zero gravity everyday on the International Space Station for 6 months, and returned to earth stronger than before I left. Now I use the OYO Gym to stay in shape while traveling internationally for business,� said Dr. Leroy Chiao, former NASA astronaut and ISS commander. 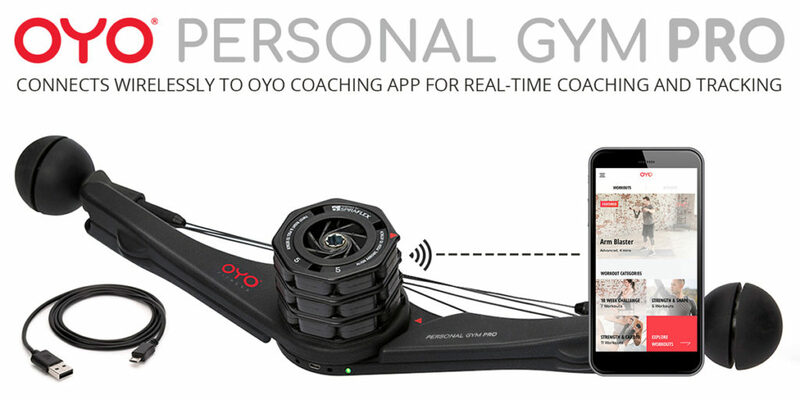 NOTE:�The app can be used to stream workout videos with ANY OYO Personal Gym / DoubleFlex, however,�the OYO Gym PRO is the only version that wirelessly connects for real-time coaching and tracking. 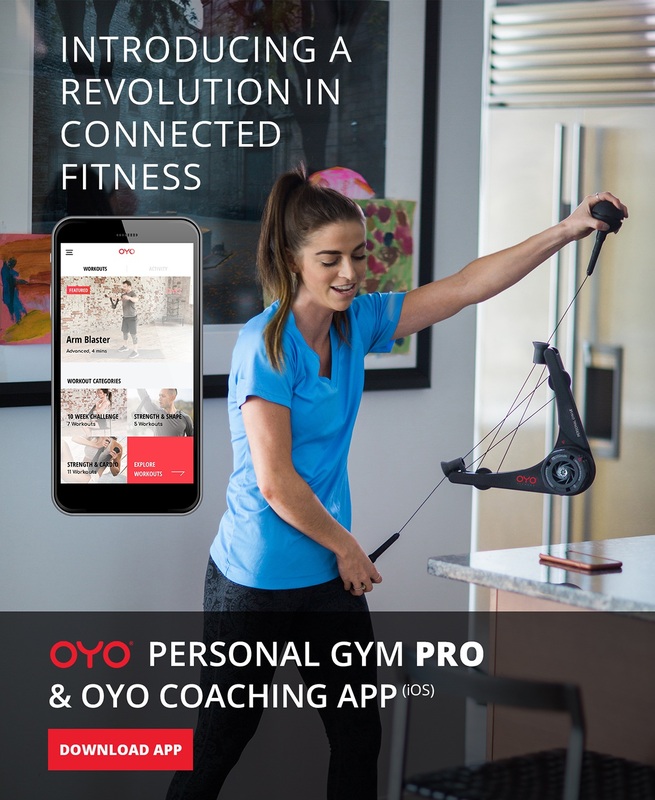 We have created a�Coaching App FAQ�and�PRO FAQ�page on our website with detailed information about how to set up and use the OYO Personal Gym PRO and OYO Coaching App. If you still have questions on setting up your PRO or Coaching App, please don�t hesitate to reach out. Please read the FAQs first as your questions may be covered there. The Coaching App is a beta-release; please email us with any feedback or ways we can improve.�You can email us regarding the Coaching App at�app@oyofitness.com. Founder Paul Francis invented SpiraFlex resistance technology for a NASA Mission Critical program to provide a countermeasure against astronaut bone and muscle loss caused by zero gravity during long space missions.�A NASA study proved SpiraFlex provided the same benefits as free-weights. Over 50 crewmembers have now worked out with the SpiraFlex iRED hardware on the International Space Station for almost 10 years. OYO (On Your Own) was subsequently founded to pioneer the next fitness revolution by providing the benefits of exercise at the convenience of the user, without the need to visit the gym or fill up a room with equipment. The company�s first product was the second most funded fitness product in Kickstarter history. The company�s pipeline of connected (IoT) fitness equipment will change the way people get and stay fit by delivering on-demand and live-streaming programs from top trainers directly to the user. Group exercise classes are using the OYO Gym in one hour high intensity programs for getting lean and fit, and to add strength to yoga and indoor cycling. In corporate wellness programs employees can be tracked and rewarded. OYO is one of the fastest growing brands in the fitness industry, now expanding international distribution to Asia and Europe.